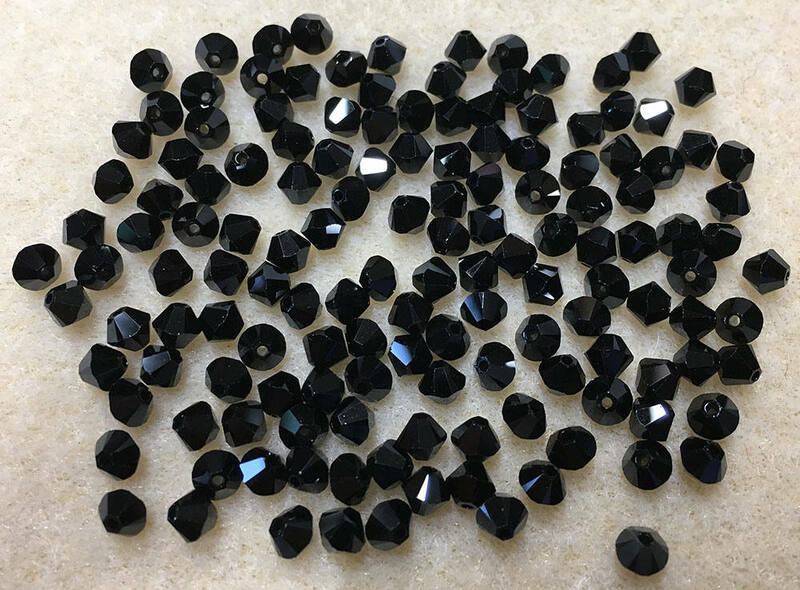 Jet 5328 Bicone Swarovski Crystal Beads 4mm. 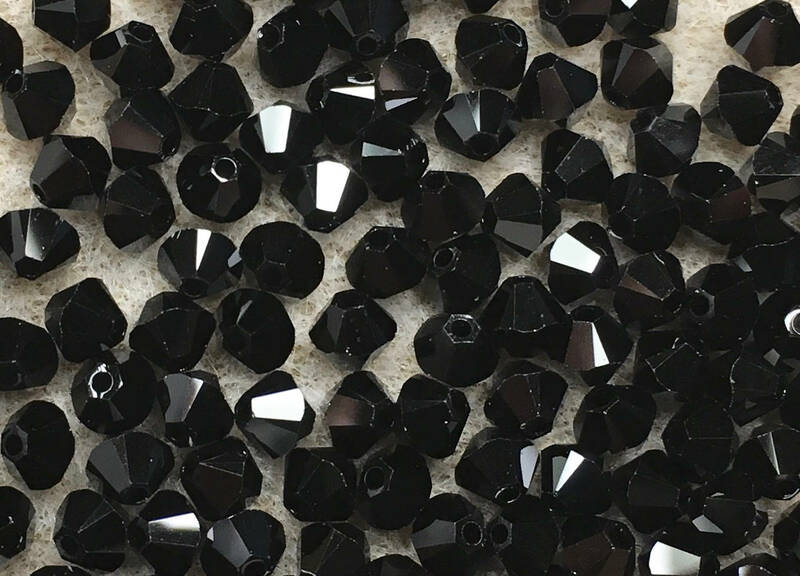 Bag of 24 Jet black 5328 bicone shaped Swarovski crystals measuring 4mm. Add some sparkle to your jewelry creations!